Below are the Top 5 items from January 2019. On January 5th, we got a look at the Governor’s agenda for the year as he delivered his combined budget address and State of the State message. It’s now up to the Legislature to examine the details and help finalize a budget that is fair to taxpayers and addresses our most pressing needs. My priorities include adequate funding for our schools and Upstate infrastructure, reducing the cost of doing business in NYS, supporting farms and producers, and funding critical programs and services that New Yorkers of all ages rely on. As always, my top priority will be to ensure the needs of the Southern Tier and Upstate are addressed. That’s why I share the concern expressed by many of our local municipal leaders about the Governor’s proposal to eliminate Aid and Incentives to Municipalities (AIM). This state funding represents a significant portion of local budgets, helping most of our Towns and Villages maintain important services while also keeping taxes in check. I have already expressed my outrage over these cuts to the Chair of the Assembly Local Governments Committee, which oversees these matters. I have been assured that restoration of this funding will be one of our highest priorities. Reforming New York State’s elections was an important priority as our 2019 legislative session began. 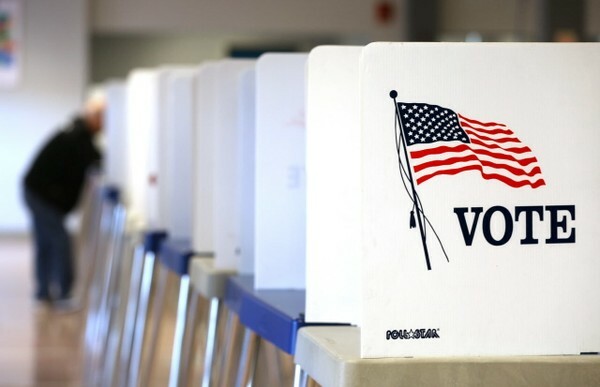 I was a co-sponsor of all seven bills, including legislation to permit early voting and combining state and federal primaries, that passed by the Assembly on January 14th; the Senate also passed these measures and they were signed into law on January 24th. These reforms will make the voter registration process easier, increase turnout at the polls, and reduce the influence of corporate money in state elections. The Assembly has supported and passed these measures for years, but until this year they have sat idle in the Senate. These bills will make it easier for everyone to participate and make their voices heard. To read more about these new laws, click here. On January 24th I joined the Greater Binghamton Chamber of Commerce as they presented their 2019 Legislative Agenda. The Chamber is focused on workforce development, reducing the cost of doing business in NYS, and mandate relief, among other issues. They are especially concerned about how the changing political dynamic in Albany will affect the overall bottom line. On the positive side, the area has thousands of job openings with more on the way. Finding the workers, who in many cases lack child care or transportation, is an ongoing challenge as we rebuild our economy. Unfortunately, the high cost of doing business in NYS is ongoing, but especially hard on small business. I am very focused on these concerns and stay in close contact with the Chamber and other business advocacy groups. As you know, I’ve been working for the last several years to develop industrial hemp into a new agricultural commodity; I’ve always thought the growing, processing, manufacturing, and research of this crop would have enormous potential for the Southern Tier and the entire state. On January 14th we learned that Canopy Growth is planning a $150 million investment in an industrial hemp hub in Broome County for the growing, processing, research, and development of hemp and related products. The following weekend, Southern Tier Hemp announced that it is also investing millions of dollars for a processing facility in Johnson City. These two companies have estimated that hundreds of jobs will result from their developments. This level of investment from Canopy and Southern Tier Hemp proves that industrial hemp can in fact be a major economic driver for our region. My focus going forward will be to advocate for our small family farms who wish to contract grow or lease their land, as well as ensuring that we protect other industries that are currently utilizing Broome County farmland. Workforce development in this sector will also have to be ramped up. On January 10th, I joined Senator Akshar, County Executive Jason Garnar, Sheriff Dave Harder and Public Defender Mike Baker to discuss a new law that will ensure timely legal representation and save taxpayers money. 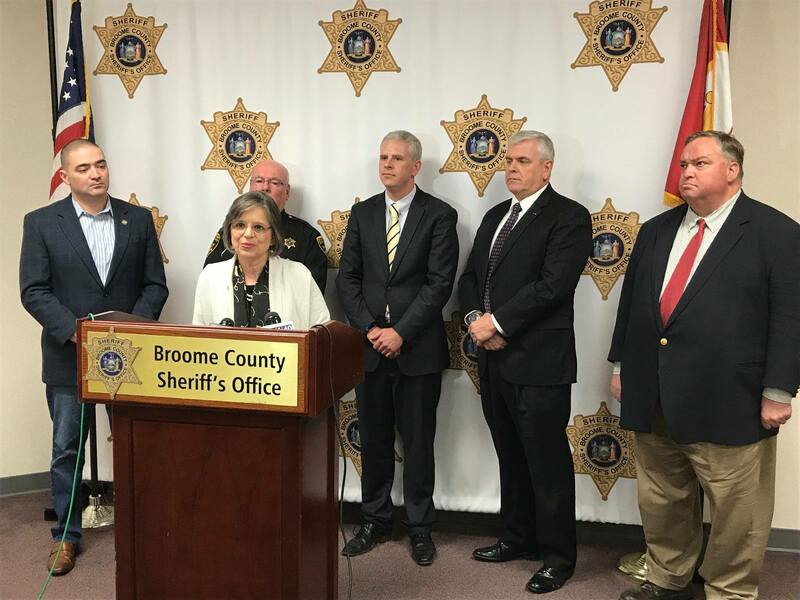 The Governor recently signed a bill that I sponsored, along with Senator Akshar and Assemblyman Crouch, which allows for all arraignments to take place at the Broome County Jail. This legislation was done at the request of the Public Defender’s Office and County Government. Previously, any person under arrest had to be held and arraigned in the municipality in which they were arrested; as a result, the Public Defender was required to travel to each Town, Village, and City Court in order to represent defendants. Sometimes arraignments would have to be postponed due to the office being unable to cover every court. Central arraignments will not only ensure timely legal representation for defendants, but will also result in taxpayer savings by providing efficient use of public law enforcement and judicial resources. Click here to read more about this new law. Assemblywoman Lupardo discusses a new law allowing for central arraignments at the Broome County Jail.